National Examinations Council, NECO result is out! Candidates that participated in the SSCE internal examination can now check their results online. You will however need to purchase the result checking scratch card to be able to access your result online. The official price for the NECO 2018 Result checker is N300 (three hundred naira only). This is to inform all the candidates that participated in the National Examinations Council (NECO) 2018 June/July Senior Secondary School Certificate Examination (SSCE), that their results have been released. The NECO June/July examination is the examination taken by candidates in their last stage of Secondary School Education. Candidates are advised to get the National Examinations Council (NECO) result checker card which goes for N300 (three hundred naira only) to access their results. You may however pay above the official rate of N300 (three hundred naira only) if you are getting it outside NECO offices. After getting the result checker which contains the PIN Number you need to check your result, you can then follow the six (6) simple steps below to access your NECO Result. 1. Go to NECO result checking portal athttp://www.mynecoexams.com/results/. 2. Select year Examination Type (i.e. June.July). 3. Select year of examination (i.e 2018). 4. Enter your card PIN number (the PIN on the NECO Result Card). 6. Finally, click on “Check My Result” button to finally see your result. If you follow the simple steps outlined above, by now you should be seeing your grades in each subject. Note: The NECO result Checker has a limited number of use. To avoid subsequent usage, just send your result to your email. 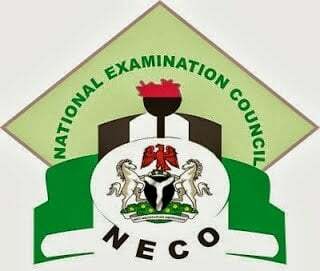 NECO acting Registrar, Abubakar Gana, said out of the 1,041,536 candidates who sat for the examinations, only 742,455 of the candidates got at least five credit passes including Mathematics and the English Language. He added that a total number of 20,181 candidates were involved in examination malpractices, less than the figure of 2017. After checking your result, don’t forget to share it with others via the comment section below.